When Mary Reilly turns up in a hospital hundreds of miles from the senior community where she lives, Nell and Bridget discover their mother has been hiding a second life. She has a lakeside cottage in Vermont and a series of complex relationships with people her daughters have never met. The family drama that is gradually uncovered reveals truths about all three women, the sacrifices they’ve made and the secrets they carry. Nell is a carpool mom and corporate trophy wife who yearns for a life of her own. Bridget is a glamorous interior designer who transforms herself for every new man, always attracted to the bad ones. Their mother Mary was an army nurse in the Vietnam War, then married handsome navy pilot Thomas Reilly and lived happily ever after…or did she? 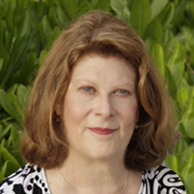 Gail Cleare has written for newspapers, magazines, Fortune 50 companies and AOL. Her award-winning ad agency represented the creators of the Teenage Mutant Ninja Turtles. She was the turtle Leonardo’s date for the world premiere of the second TMNT movie, and got to wear a black evening gown and sparkly shoes. 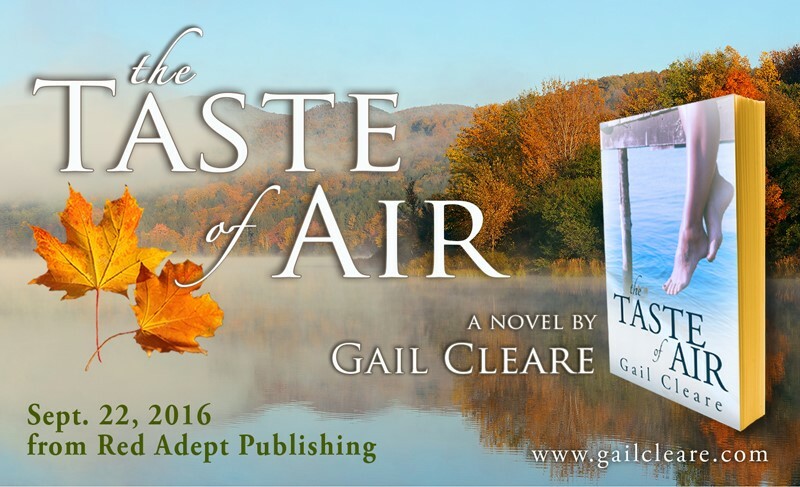 Gail lives on an 18th century farm in Massachusetts with her family and dogs, cats, chickens, black bears, blue herons, rushing streams and wide, windy skies. She’s into organic gardening and nature photography, and can often be found stalking wild creatures with a 300 mm lens. My first thought after finishing The Taste of Air was that this was an incredibly satisfying novel. My second thought was that I want to live in a cute cottage in New England when I’m older, though my dream cottage would be big enough to share with my husband and our collection of dogs. In this novel, author Gail Cleare introduces us to a trio of women, each of whom are strong and weak in individual ways. Mary Ellen, the mother, has been leading a secret life for decades, and was apparently content to do so until suddenly, her secret is revealed when she is sent to the hospital. Her daughters, Nell and Bridget, discover their mothers double existence when Nell is called to her bedside. Nell is the ultimate caregiver, sacrificing her own happiness for her family, while Bridget repeatedly chooses men who don’t treat her well. Together, these three women form both a family, glimpsed mainly in flashbacks, and the nucleus of the novel. What I loved was that author Cleare really captured the subconscious patterns that family members develop, the ones that demonstrate connection as much, or more than, any physical attributes. I also liked that each woman had her own journey, and that while those journeys intersected, each story was given equal weight. It would have been so easy to focus on Mary Ellen, for example, unraveling the mystery of her cottage refuge without her ever speaking a word in the present day. It would have been just as easy to focus on Nell, whose point of view opens the story. (In truth, even though my only children have four feet and fur, it was Nell I most identified with.) Or Bridget, who is probably the most outwardly together and inwardly unhappy woman in the story, and who has dual quests – a satisfying relationship where she’s treated with respect, and the search for the baby she had as a teenager, and subsequently gave up for adoption. All three stories are compelling, and as we meet the men, the other women, the children, in the lives of Mary Ellen and her daughters, what results is a family portrait that is less a posed and stilted (and somewhat horrific) presentation, and more a collage of hard truths, past mistakes, present ambitions, and great love. I would recommend this book to women (and men) of all ages, who want to truly understand how multi-dimensional we all are. Goes well with an open window, a cozy chair, a mug of coffee and a plate of crisp apples and sharp cheddar cheese.